Thank you to all Partners, Sponsors, and Providers! 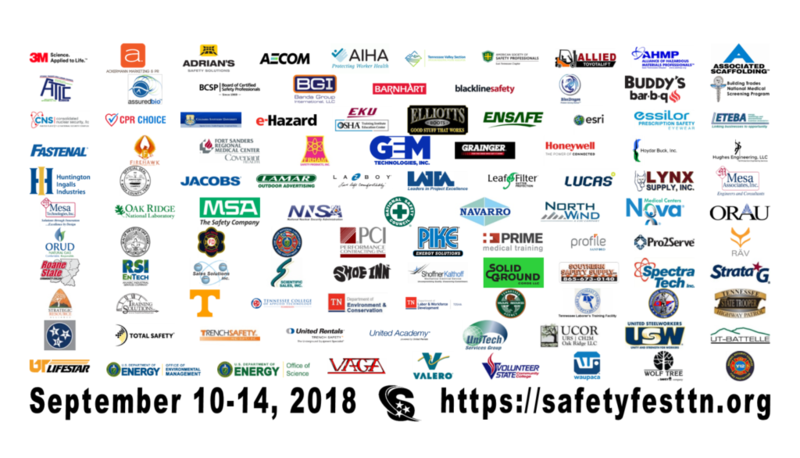 100s of people from over 100 organizations Partner, Sponsor, and/or Provide resources to make Safety Fest TN happen every year. The event is September 10-14, 2018. Currently, over 1,100 people have registered to attend. They come from all walks of life and every type of organization – small and large businesses; local, state, and federal governments; colleges and universities; self-employed; trade and labor unions; and non-profit organizations. Over 100 safety & health classes, sessions, and demonstrations are planned. They are all FREE but registration is required to ensure there is enough space! Your organization can partner, sponsor or provide resources too! Sponsorship opportunities are available now!